Since there is already a substantial discussionsurrounding this compilation of poetry “of” the Taliban, it seems important to review the work within a series of broader contexts. AMY GOODMAN: It was ten years ago today when then President George W. Bush announced the beginning of the war. AMY GOODMAN: Ten years later, the Afghan war rages on. It has become the longest-running war in U.S. history. There’s no end in sight. The Taliban remains in control of major parts of the nation. Peace talks have collapsed. Civilian and troop casualties continue to mount. There have been a number of major setbacks in just the past few weeks. On September 13, militants attacked the U.S. Embassy and the NATOheadquarters in Kabul. A week later, the Taliban claim responsibility for assassinating former Afghan president, Burhanuddin Rabbani, who headed the Afghan Peace Council. Just this week the Wall Street Journal reported Afghan President Hamid Karzai has given up on negotiating with the Taliban. In a recent interview, retired General Stanley McChrystal said the U.S. and NATO were only 50% of the way towards achieving their goals in Afghanistan. Brian Katulis is a senior fellow at the Center for American progress. AMY GOODMAN: To talk more about Afghanistan, we are joined by two guests – first, we go to Afghanistan, to Reena. She’s 19 years old, a member of RAWA, the Revolutionary Association of the Women of Afghanistan. Reena is a pseudonym, her face concealed since all RAWAmembers maintain anonymity for security reasons. Welcome toDemocracy Now!, Reena. Describe what is happening now – ten years after the U.S. invaded Afghanistan. REENA: Thank you so much, Amy. It is a pleasure to be on your show. Ten years ago when U.S. invaded Afghanistan, they made promises of democracy, women’s rights, and a general improvement in the lives of people. But ten years later, today, the situation is clearly getting worse for our people. Everyday life has not improved. Women’s situation has gotten worse. There is no sign of democracy or freedom or peace anywhere. In fact, civilian deaths have reached 10,000 on this anniversary. And it’s going to continue to rise with the surge of troops and increase in assaults, this will obviously be continuing. AMY GOODMAN: Here in the United States, we’ve just passed the tenth anniversary of the September 11 attacks. There was a great deal of attention to the young people who grew up in the shadow of the World Trade Center, both specifically and also just in this age metaphorically. You, Reena, or 19 years old. You were nine when the U.S. attacked Afghanistan. Where were you born? What are your thoughts growing up in the Afghan War? REENA: At that time, I was in Pakistan, in a refugee camp, but I do remember a lot of people who were there at that time, like our close relatives. We lost some people that we knew, some friends, in the bombings of the U.S. So I did not exactly witness the deadlier Civil War of 92-96. I have vague images of the Taliban regime of 96-2001. But this ten year war has definitely had a very deep impact on this generation. The civilian casualties, the fear that people live with these days, the terror that there is in the streets everywhere for the IED attacks or other kinds of threats, it is increasing day by day. It has just made everyone extremely insecure and bad for the people. AMY GOODMAN: We’re also joined here in New York by Anand Gopal. He reported for The Christian Science Monitor in Afghanistan then for the Wall Street Journal. Now he is writing a book on the war in Afghanistan. Your thoughts ten years later — the longest U.S. war in U.S. history. ANAND GOPAL: By any metric we look at, the war has gotten worse. Security has gotten precipitously worse every single year. 2011 has seen the most civilians being killed of any year since the war started. We’ve seen the most number of attacks – suicide bombings, roadside bombings, since the war started for any year. The amount of territory the Taliban controls has been undiminished, despite the fact we’ve seeing a major troop surge in the last year or two years. We’ve seen a fragmentation within Afghanistan where the people who we are aligned with are starting to arm themselves and thinking about a post-American scenario where they want to all fight against each other. Really we’re at a knot here in Afghanistan in the last ten years. AMY GOODMAN: Listening to the talk shows on the cable networks, it is quite remarkable to see how things are turned on their heads. The Republicans talking about Obama presiding over the longest war. The issue of what it means if the U.S. pulls out, and the mantra often repeated that the Taliban will take over. I want to get both of your thoughts on that beginning with Anand. ANAND GOPAL: The Taliban already have de facto control of almost half of the country in the countryside. Beyond that, what we’re doing in Afghanistan is we are arming militiamen, warlords, strong men, we’re actually going into the countryside and giving them weapons, giving weapons to all sorts of human rights violators and abusers. These are people in many cases who have been disarmed after 2001 and we’re rearming now because we need help in fighting the Taliban. So what that’s actually doing is creating the conditions in which the civil war is more and more likely. In fact that I think the longer we stay and continue this policy, a civil war becomes more likely. AMY GOODMAN: Reena, your thoughts on the issue of the Taliban? REENA: Yes, I absolutely agree with him. The U.S. has armed the most dangerous warlords and is continuing to arm and support them. If they were drawn out, yes, a civil war may be inevitable. But again, we have to remember that, as we always say, this war is part of the problem. It is not going to solve anything for us. If the troops withdraw and if they give Afghanistan a chance to decide its own fate, I think things will work out. If they do not support these warlords, as he said, and the U.S. and its allies pressure the other countries not to support the Taliban, then I think maybe a civil war will not take place. It might not be as bloody as it will be if they continue supporting or if this war goes on. AMY GOODMAN: Reena, a reason often given for staying in Afghanistan — it was one that Laura Bush put forward, it was one that was picked up again, things all turned around, the kind of feminist reason, particularly put forward by the Republicans but many Democrats also support this and Democratic women — that it is about saving the women of Afghanistan. Your response? REENA: Yes, these claims were all extremely false. If they have brought to power the misogynists, the brothers and creed of Taliban into power, who are the exact copies of Taliban, mentally and have just been physically changed, then I do not think the feminist situation can improve. Today, there are slight improvements in women’s lives in urban areas, but again if you look at statistics, Afghanistan remains the most dangerous place for women. Self-immolation, suicide rates, are extremely high – it has never been this high before. Domestic violence is widespread. Women are poor. They do not have healthcare. It has the highest mortality rate in the world. There are, as I said, some improvements. And in some aspects, it might have been a little better for a handful of people, for women, but it has definitely has gotten worse for others. There is insecurity, there are threats. They always say that there are six million girls in schools and the schools have opened, but nobody looks at the dropout rates. 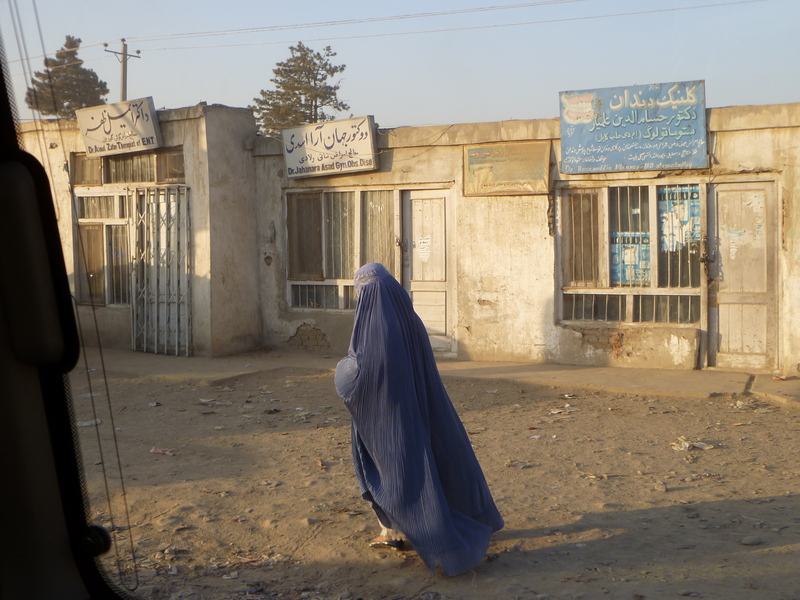 Nobody looks at the attacks, the threats that the Taliban makes to the girls. And they do not dare go out again. Nobody looks at the quality of the schools. All these things — there have been slight changes. It has been very widely used, and to just highlight a few positive things, but overall, things have gotten worse. AMY GOODMAN: I want to play a clip from Admiral Mike Mullen, the Chair of the Joint Chiefs of Staff, speaking earlier this week about the Haqqani network threat, blaming the ISI for orchestrating attacks on U.S. targets inside Afghanistan. ADM. MIKE MULLEN: A second but no less worrisome challenge is the impunity with which certain extremist groups are allowed to operate from Pakistani soil. The Haqqani network, for one, acts as a veritable army of Pakistan’s internal services intelligence agency. With ISI support, Haqqani operatives planned and conducted that truck bomb attack as well as the assault on our embassy. AMY GOODMAN: Chair of the Joint Chiefs of Staff, Admiral Mike Mullen. Anand Gopal, your response? ANAND GOPAL: It’s absolutely the case that Pakistan is in some way supporting the Haqqani network and the rest of the Afghan insurgency. But I think it is important to have some historical context in all of this. We once, the U.S., once supported the Haqqani network, back in the ‘80s when we were fighting against the Russians. We poured millions, in fact billions of dollars into Afghanistan to fundamentalists, to Islamic radicals and we’re getting the blowback of that now. And also that has fundamentally changed the dynamic within Pakistan, where we helped create, in a sense, the way that the ISI, the Pakistani Security Agency, acts today. They have been pretty much consistent in the last thirty years in their position. We just changed our position ten years ago. AMY GOODMAN: And the role that Pakistan — if you could talk further – plays in Afghanistan, and the fact that Pakistan has been supporting or in the past supported the very forces that they’re fighting against, that the U.S. is fighting against in Afghanistan, and helped to establish the ISI, which it now is critiquing. ANAND GOPAL: Well, there is no doubt that the insurgent leadership, the Haqqani network, the Taliban and other groups, they have a safe haven in Pakistan. There is no doubt that elements of the ISI, the security apparatus, is giving advice and support to the insurgent leadership. Pakistan is planning a double game. On the one hand, they are aligned with the U.S. and getting millions of dollars in aid for military, on the other hand, supporting insurgency. AMY GOODMAN: Reena, you are 19 years old, you are a young woman who goes back and forth between Pakistan and Afghanistan. How do you function? Reena is not really your name, you’re not saying where you are in Afghanistan, you’re with the organization RAWA. Explain what your group does and how you get around. REENA: RAWA, the Revolutionary Association of the Women of Afghanistan, was established in 1977 by a martyred leader, Mina, and a group of other young women. It is an anti-fundamentalist group, women’s group, that fights for freedom, democracy, secularism and women’s rights. Because we are the only women’s group that speaks against fundamentalists — the warlords in power today — we have any security issues and we cannot be open in our activities. So we are underground and semi-underground. We function mostly in Afghanistan, but a small part of our activities are also based in Pakistan. AMY GOODMAN: Malalai Joya make a statement this week where she said, let’s see if I can find it, “we’re at a point today when Afghanistan is at its most violent since war started and the government at its weakest. Civilian casualties higher this year than any previous year, the territory Taliban controls more or less the same as last year, there’s no progress toward making a political solution.” Anand Gopal, what if the U.S. pulled out tomorrow? ANAND GOPAL: I think if the U.S. pulled out tomorrow, it would be very likely that we would see a civil war. When you talk to Afghans, and particularly in the countryside where the war is being fought, what many of them say is, we want the U.S. troops to pull out and we want there to be some sort of peace settlement from all the sides. This never really happened, even from day one in 2001. The Afghan state was not constituted on a broad-based system. It was a deal between a certain set of warlords and the U.S. You want to include civil society, groups like RAWA, other groups, and try to come together to tell Afghans to configure their state in some way, which they’ve never had a chance to do until now. So I think a peace settlement of some sort, together with the troops pulling out, would be the only way we can forestall a Civil War. AMY GOODMAN: Would you say, Reena, that each day of this war increases hostility toward the United States? REENA: Absolutely. Absolutely, it does, as it has increased from 2001 until now. Because in the start, the people were very hopeful. They had some hope that the U.S. would actually help them, that their situation would improve in the last ten years. But the U.S., unfortunately, supported the war lords, like Sayaff, Abdullah Abdullah, Ismail Khan, Khalili, and they recently killed Burhanuddin Rabbani. So all this has increased the People’s hostility, in addition in the countryside and in provinces other than Kabul and some other urban cities, the U.S. airstrikes and night raids are increasing day-by-day. This itself is drawing a lot of hostility from the people toward the U.S., and they want them to leave our country as soon as possible. AMY GOODMAN: Final comments, Anand Gopal, for people to understand and as you both lived in Afghanistan for years covering the war and you come back to the United States and see how generally it is covered as you write your book? ANAND GOPAL: It is covered very poorly. I think a lot of the discourse about the war in Afghanistan is that it is a series of mistakes. And it is a mistake. But I think at the core underneath those mistakes is a fundamental wrong policy, which was the war on terror, going into Afghanistan and thinking that the occupation of a country can solve the problem of terrorism. I think that everything that we are seeing in Afghanistan today, you can relate it back to that fundamental core issue. AMY GOODMAN: Reena, I don’t know if you heard the Nobel peace Prize was just announced. It is going to three women from the Arab world and from Africa. Two from Liberia, including the current president of Liberia, and one brave Yemeni activist, the youngest ever to receive the Nobel peace prize. Had you heard about that? Does this matter at all to in Afghanistan? REENA: Yes, I did read about this. I would like to say that the Nobel Peace Prize is, I do not think, it is a very big prize in the opinion of our people. Because every time there is usually a political motive behind giving it to somebody. And the actual real people who struggle for something or who are trying to get something are never considered for this prize. For example, last year, a warlord woman from our country, Sima Samar, was on the list of these people. She almost won the Nobel Peace Prize. That woman is in the Warlord Party. If not directly, is an agent of other countries. If you can consider giving this prize to such a woman, then it does not mean anything for our people. Anybody else can win it for political reasons or whatever is behind it. AMY GOODMAN: Your thoughts in that, Anand Gopal? ANAND GOPAL: I think also more importantly, from the point of view of the Afghans, Barack Obama is a Nobel Peace Prize winner, and he’s the person who increased the number of troops in Afghanistan and increased the violence in fact in Afghanistan. A lot of my Afghan friends question with the value of the Nobel Peace Prize is if it leads to more war in Afghanistan. AMY GOODMAN: Thank you both for being with us on the 10th anniversary of the U.S. bombing of Afghanistan, now the U.S. engaged in the longest war it has ever been involved with in U.S. history. Anand Gopal, independent journalist, writing a book Afghanistan, previously with the Christian Science Monitor and then the Wall Street Journal. AMY GOODMAN: And Reena, not her real name, speaking to us from Afghanistan, her face covered. She is anonymous for her own protection. Tonight, _KPFK_’s Uprising host, Sonali Kolhatkar. KPFK is the Pacifica Station in Los Angeles—-will be leading a conversation with Reena via live video stream and taking questions from the viewing audience. You can see it at afghanwomensmission.org, we’ll put a link there on our website at democracynow.org. ‘The world doesn’t have to choose between the Taliban and the US government. We need clarity. The Afghan Youth Peace Volunteers reject the US-Afghanistan Strategic Partnership Declaration. We reject such declarations made by politicians who do not know us, nor care for us. We want the freedom to solve our own problems. In case you haven’t heard of the US-Afghanistan Strategic Partnership Declaration, here is how it is being described in the international press. ‘The United States should maintain a long-term military presence in Afghanistan as a “tenant” on bases jointly occupied with Afghan forces, rather than on permanent U.S. bases, after its combat mission ends, according to Defense Secretary Robert M. Gates……the administration is negotiating a strategic partnership agreement with the Kabul government for the longer term.’ — U.S. wants ‘joint bases’ in Afghanistan, Gates says, Karen DeYoung, Washington Post, 8th June 2011. ‘So this is a mutual document of interests,’ President Karzai, Press Briefing with Defense Secretary Robert Gates in Kabul, 5th June 2011. ‘The Iranian interior minister made a rushed visit to Kabul, followed shortly by the national security advisers of India and Russia. The Russians, though generally supportive of NATO’s role in Afghanistan, were alarmed at the prospect of a long-term Western presence. “The Russian side supports the development of Afghanistan by its own forces in all areas — security, economic, political — only by its own forces, especially after 2014,” said Stepan Anikeev, a political adviser at the Russian Embassy here. “How is transition possible with these bases?”’ Talks on U.S. Presence in Afghanistan after Pullout Unnerve Region, Rod Nordland, New York Times, 18th April 2011. ‘Prime Minister Yousuf Raza Gilani…bluntly told Afghan President Hamid Karzai that the Americans had failed them both…Mr. Karzai should “forget about allowing a long-term U.S. military presence in his country…,” Mr. Gilani said. Pakistan is lobbying Afghanistan’s president against building a long-term strategic partnership with the U.S., urging him instead to look to Pakistan—and its Chinese ally.’ Karzai Told to Dump U.S., Matthew Rosenberg, Wall Street Journal, 27th April 2011. ‘The US has been bankrolling the effort with up to $100bn (£61bn) a year and is negotiating a new strategic partnership with President Hamid Karzai. “December  is not a campaign end date but a waypoint – a point at which the coalition security posture changes from one that is in the lead to one that is mentoring and advising, but is still here.” General James Bucknall, 2nd in command of International Security and Assistance Force (ISAF).’ Nick Hopkins, The Guardian, 10th May 2011. ‘Because of deep concerns over militant groups in the region, (U.S. officials) want some kind of launching area … to go after individuals and training camps. They see few other basing options in the region. So, the U.S. government will push hard for this.’ Caroline Wadhams, a security expert at the Center for American Progress, 3rd June 2011. ‘The Shanghai Cooperation Organization summit ( SCO, a mutual-security organisation which was founded in 2001 in Shanghai by the leaders of China, Kazakhstan, Kyrgyzstan, Russia, Tajikistan, and Uzbekistan ) adopted a statement calling for an “independent, neutral” Afghanistan (read: free of foreign occupation). Nurusultan Nazarbayev, president of Kazakhstan, who hosted Karzai, put it on record, “It is possible that the SCO will assume responsibility for many issues in Afghanistan after the withdrawal of coalition forces in 2014.”’ Ambassador M K Bhadrakumar, a career diplomat in the Indian Foreign Service, Asia Times Online, 21st June 2011. ‘In a statement, Gulbuddin Hekmatyar’s Party of Hezb-e-Islami described establishment of permanent US military bases in Afghanistan as an eternal occupation of the country. The statement said establishment of permanent US bases in Afghanistan would mean the war never ends.’ Tolo News Afghanistan, 19th July 2011. What is described is the framework for Great Game 3.0, demonstrating the world’s militarized inability to resolve distrust and human conflict in a sensible manner, and the ineffectual silence of the international community and the United Nations. Our leaders, the Afghan and American elite, don’t want us to be concerned about the US-Afghanistan Strategic Partnership Declaration. They want us to be appropriately upset by news of suicide bombings and I.E.D.s, and sufficiently curious about the Taliban, the 2014 draw-down, and peace. What’s more, the ‘debt crisis doom’ will not allow us to look at the big picture, which is the consistent abuse of the people’s interests by global governments determined to maintain the status quo of Power-and-Wealth-dictated inequalities. Yet, the Afghan Youth Peace Volunteers are committed to recovering their values. This is difficult because such values have been de-humanized, as we ourselves have become disconnected from other human beings and distracted by material OBJECTS. This happens to us and it happens more so to ordinary Americans who face even greater distractions and may not want to bother with this ‘agreement.’ After all, Americans have enough troubles of their own. Or can we expect her citizens to break out of their cold, lonely bubbles? We need an urgent global debate about this. The US-Afghanistan Strategic Partnership Declaration will perpetuate ‘terrorism’ and bring it to everyone’s doorsteps. The ‘partnership’ will allow permanent joint US-Afghanistan military bases to launch and project hard power. The ‘extreme’ Taliban would conveniently ‘use’ these bases as a stand-alone reason for their ‘holy jihad.’ We cannot forget that one of Osama Bin Laden’s reasons for attacking the US on September 11th was the presence of US military bases in Saudi Arabia. This Strategic Partnership Declaration would kill any chance for our madness to slow down and our violence to calm down. It will doom ordinary Americans and Afghans to permanent terrorism. Why can’t we quiet our nerves, look deep inside humanity, and begin healing? The reality is that Afghans are not only very angry but also tired, while US/NATO citizens are essentially unaware, so are neither concerned, nor angry. As Arundhati Roy said, Afghans don’t have to choose between the Taliban and the US-Afghan Government…these two fundamentalist poles. Just like Americans don’t have to choose between ‘feeding’ the rich or ‘feeding’ the rich.We can choose normal, decent lives, based on respect for life, on valuing life. If the Afghan public knew that Karzai had given Gates an award on their behalf, they may have fumed. But then, most rural Afghans don’t even know who Gates is. This proud and exceptional self-praise by the rich and powerful is ugly; the People of the world should expose and disempower this imposition of values. There ARE other options, especially since there ARE other deeper values. No Power today represents the people. Today, ordinary Afghans are denied the basic human dignities, living in a country that Save the Children said was the most dangerous place on earth for mothers, and that UNICEF said was the worst place on earth to be born in, and to be a child. Moreover, the country that is pushing to sign this Strategic Partnership Declaration with Afghanistan, namely the US, has neither ratified the Convention on the Elimination of All Forms of Discrimination against Women nor the Convention on the Rights of the Child. These indicate the ‘human regress’ which the Afghan government/Taliban/US/NATO have been responsible for. We mustn’t ‘just watch and do nothing’ about our glaring socio-economic inequalities; 20% of the earth’s population is hoarding more than 70% of the total income. For the sake of Abdulai and billions of ordinary people like him, why not join the rising masses across the Middle East & Africa, Europe, South & Central America and more, under the same blue sky, to end our slavery to the status quo values? We need to at least have conversations about the US-Afghanistan Strategic Partnership Declaration, before it is signed in betrayal of ordinary Americans, Afghans and global citizens. We have little left to lose anyway. The Powers have been laughing at us, right from the very beginning. Next the statesman will invent cheap lies, putting the blame on the nation that is attacked, and every man will be glad of those conscience-soothing falsities, and will diligently study them, and refuse to examine any refutations of them; and thus he will by and by convince himself that the war is just, and will thank God for the better sleep he enjoys after this process of grotesque self-deception…Mark Twain. Ballet Afsaneh, the professional performance ensemble of the Afsaneh Art & Culture Society, is based in the San Francisco Bay Area of California in the USA. This dynamic group presents performances and activities featuring dance, poetry, and music of the Silk Road —the historic trade route stretching 7,000 miles across the continenet of Eurasia from the China Sea in the east to the Mediterranean in the west. The Ballet Afsaneh repertoire displays a wide range, from the glittering lyricism of fairytale to incisive, thought provoking, contemporary work. Traditional repertoire includes dances representing; Iran, Uzbekistan, Tajikistan, Afghanistan, Armenia, Turkey, Chinese Turkistan, Azerbaijan, Kurdistan, and North India. In our rapidly changing world the need for cultural understanding and preservation has never been greater; Ballet Afsaneh brings to light the history, poetry, iconography, and spiritual heart of these enduring cultures. Promoting positive visibility for these expressive arts in all of their beauty and richness, so that such cultural treasures can be shared by the world. Many of the 15 core dancers, poets and musicians performing with the company are from Central Asian families, a majority are women. Ballet Afsaneh often performs at large mainstream venues and provides programming for many smaller, community-oriented events as well. The company occasionally tours both nationally and internationally. Since its founding by Artistic Director Sharlyn Sawyer in 1986, Ballet Afsaneh and the Afsaneh Art & Culture Society have produced critically acclaimed programs for San Francisco’s M.H. De Young Museum, the Asian Art Museum, British Museum in London, and the Cabrillo Music Festival. They have been honored by San Francisco Mayor Gavin Newsom for producing the annual Norooz (Persian New Year) event at SF City Hall, and are featured regularly in San Francisco’s Ethnic Dance Festival at the Palace of Fine Arts Theater. The company has toured in Central Asia and sponsors international artists during their visits to the United States. In a neighborhood of northern Kabul once called little Paris after its famous patisseries and tree-lined avenues, a taxi driver drops me off in front of a 15-foot-high metal gate. The gate surrounds a large old house barely visible from the street. The street is really nothing more than an ominous dirt path marked by potholes, and a trench where sewage wafts up from an opening where pipes were never laid. Across the street is a makeshift refugee camp, homes built from dirt and materials gathered from nearby garbage heaps. The man who works security at the gate instructs me the refugees are from Pakistan, families fleeing the ongoing fighting and US air raids. I am here to have a meeting with the director of the Afghan Women’s Skills and Development Center (AWSDC), a non-government organization working to enhance the basic skills and capacities of women and girls through education and training courses. The AWSDC is a member organization of the Afghan Women’s Network (AWN), “an umbrella association of over seventy women focused NGO’s,” according to its director Afif Azim. I am here because both organizations have signed a report submitted by 29 NGO’s working in Afghanistan to the NATO Heads of Government called Nowhere to Turn. The report documents the NGO’s serious concerns over growing insecurity for ordinary Afghans, and cites a recent UNAMA briefing claiming a 21% increase in civilian deaths in the first six months of 2010 compared to the same period in 2009. Careful to outline that a majority of deaths are at the hands of armed opposition groups, like the Taliban, the report emphasizes that the current US/NATO military strategy including arbitrary detention, night-raids, drone bombing and financing and arming of militia groups are the most significant factors creating instability for civilians. The Afghan Women’s Network and its partner organizations have been working since the fall of the Taliban to advocate for the implementation of international conventions and national legislation that would protect, and maybe in the future even benefit the status and rights of women across Afghanistan. All are starkly aware of the realities ‘on the ground’ for women, and this is why they speak passionately about the need to create security before any substantive work towards human rights can be accomplished. 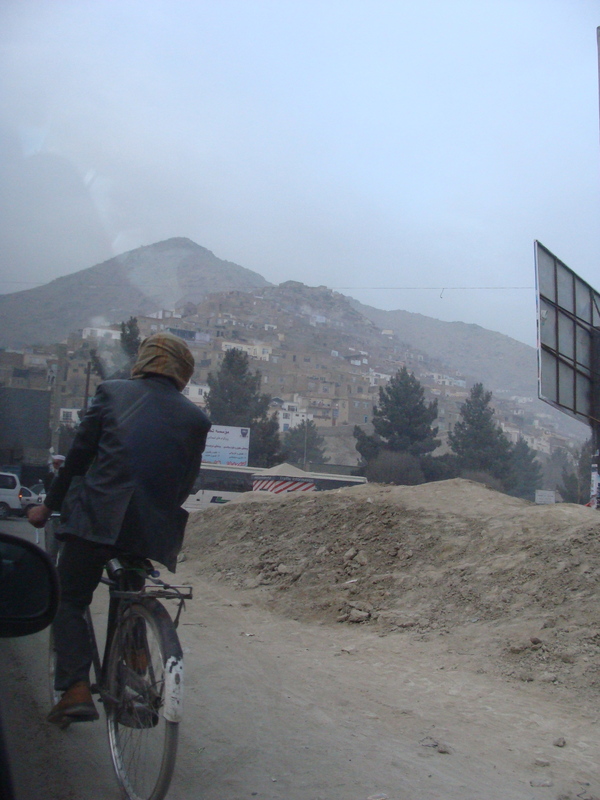 Still, the issue of security in Afghanistan is as pressing as it is contested. The narrative of guaranteeing women’s rights in Afghanistan has served as the highly politicized accessory to the US’s 2001 invasion. And this objective remains a potent piece of the political puzzle in Afghanistan. Thus, while these two organizations were clear in their condemnation of US military strategy, they also advocated for the necessity of the troop presence due to the reality of violence women would face if there were a civil war. However, other women stress that the US/NATO presence are contributing so significantly to insecurity in the country that there is no choice but to demand from the UN an alternative international force that would not act as occupiers. Zohra, a photographer and self-described feminist with a local arts collective Third Eye reasons that while cosmetic changes for women have occurred in Kabul and Heart cities since the fall of the Taliban, for the vast majority of women in the provinces this event held no significant political meaning. Zohra, like her colleagues from AWN, assert that whist many people in the West focus on the ‘need’ to challenge the gender norms of a cultural conservative society, it is the insecurities accented by war and occupation that remain the principle obstacle to securing women’s human rights. In a neighborhood of northern Kabul once called “little Paris” after its famous patisseries and tree-lined avenues, a taxi driver drops me off in front of a 15-foot-high metal gate. The fence surrounds a large old house barely visible from the street. Both organizations have signed a report submitted by 29 NGOs working in Afghanistan documenting their serious concerns over growing insecurity for ordinary Afghans. The report indicates that 2010 was the deadliest year for Afghan civilians since 2001. Citing a recent U.N. Human Rights briefing, the report concludes that there were “1,271 civilian deaths in the first six months of 2010—an increase of 21 percent on the same period” in 2009. Careful to outline that a majority of deaths are at the hands of armed opposition groups, like the Taliban, the report emphasizes that the current U.S./NATO military strategy, including arbitrary detention, night-raids, drone bombing, and financing and arming of militia groups are the most significant factors creating instability for civilians. The AWN and its partner organizations have been working since the fall of the Taliban to advocate for legislation that would protect, and maybe in the future even benefit the status and rights of women across Afghanistan. All are starkly aware of the realities “on the ground” for women, and speak passionately about the need to create security before any substantive work towards human rights can be accomplished. Still, the issue of security in Afghanistan is as pressing as it is contested. Thenarrative of guaranteeing women’s rights in Afghanistan has served as the highly politicized accessory to the 2001 U.S. invasion. And this objective remains a potent piece of the political puzzle in Afghanistan. Thus, while these two organizations were clear in their condemnation of U.S. military strategy, they also advocated for the necessity of the troop presence due to the reality of violence women would face if there were a civil war. However, other women stress that the U.S./NATO presence are contributing so significantly to insecurity in the country that there is no choice but to demand from the U.N. an alternative international force that would not act as occupiers. Zohra, a photographer and self-described feminist with a local arts collective Third Eye, reasons that while cosmetic changes for women have occurred in Kabul and Herat since the fall of the Taliban, for the vast majority of women in the provinces this event held no significant political meaning. Zohra, like her colleagues from AWN, assert that while many people in the West focus on the “need” to challenge the gender norms of a culturally conservative society, it is the insecurities accented by war and occupation that remain the principle obstacle to securing women’s human rights. It was a vivid autumn evening. Americans were still grieving from the stun of 9/11, and the only entity that dared punctuate the eerily quiet streets of New York were the lurid faces of the missing, plastered across a thousand white pages on everything that could still stand in lower Manhattan. It was under this tense and mournful atmosphere that first lady, Laura Bush, took to the airwaves. It would be the first solitary address of any president’s wife in U.S. history, and Mrs. Bush would use her airtime to bolster her husband’s military campaign, Operation Enduring Freedom. Just six weeks after the US invasion of Afghanistan, Mrs. Bush spoke with confidence and pride as she described the rejoicing felt across Afghanistan with the fall of the Taliban. ?Nearly a decade has passed since Mrs. Bush’s address. The military campaign Bush began in 2001 has become known as the War on Terror. Americans have long learned to swallow the irritating truth that the corporate media assisted the political elites of this country in financing its military aspirations by capitalizing on the deep grief of September 11th. And what of those fatuous geographical alignments of “evil” so prudently crafted in order to solidify American resolve for Iraq? Well, they’ve shifted to Yemen, Pakistan and Somalia. But so has global solicitude, once ardently vigiling with slogans declaring “we are all Americans,” now shrinks and scowls embarrassed it was inveigled into believing “Enduring Freedom” meant something other than torture, bombing and occupation. Of all the stories culled into existence in order to facilitate mass compliance and participation in the War on Terror, none has been as politically potent as Mrs. Bush’s initial November appeal. Her call dared all decent people of the world to join the US and its allies in freeing the women of Afghanistan from the “brutal terrorism” of Islamic fundamentalism. Almost ten years later this explanation continues to oblige the US government’s ‘feminist’ agenda in South Asia. Even Time Magazine weighed in with its July 2010 headline, What Happens If We Leave Afghanistan. Notice the punctuation, and picture a melancholic young Afghan woman, wrapped in a purple veil, her black hair framing her warm brown skin, her nose (according the article inside) savagely cut off by the Taliban. Unfortunately for the young woman, and the millions like her in Afghanistan, the War on Terror has spiraled into a war of terror. And even those of us who smelled the dire stench of imperialism before a single boot fell to the ground in Afghanistan are nevertheless perplexed by why it goes on into perpetuity. “Moral arguments do not work,” an old professor of mine stated emphatically when I posed the question to him of how we were going to end the wars. “I don’t know,” he said, followed by a long, penetrating silence, then, “perhaps you, my dear, should write.” He slinks away to call for another drink, and I dare myself not to feel semantically ill-equipped to stop the hemorrhaging of innocent people caught in the cross hairs of a world gone mad on war. Brushing aside my insecurities, I am resolved to address the contention that this war is a necessary step in liberating the women of Afghanistan. Despite Laura Bush’s optimism, I don’t believe the War on Terror has made anyone safer, not least the women of Afghanistan. I contest Mrs. Bush’s assertion by taking notice of the dynamics of modern Afghanistan that make her promise entirely problematic. You see, firstly I am unconvinced that the majority of Afghans have much access to sources of international news. A recent poll conducted by the International Council on Security and Development found that nearly 92% of men (women were not polled) in Qandahar and Helmund provinces knew nothing of the September 11th attacks. Further, they reported that nearly 40% of all those surveyed believe the war is being waged to “destroy Islam” and others, Afghanistan itself. If after ten years a majority of Afghanis from the most war-torn areas remain unaware of the US’s principle argument for the war, I cannot say that the 2001 invasion held significant political meaning for the majority of Afghan women. Beyond this, Afghanistan is a country where the majority of its citizens, nearly 78% according to a 2008 UNICEF report, live in the provinces. This also means that a majority of Afghanis have extremely limited access to civil infrastructure like electricity, running water, roads or means for transportation. Poverty rates are among the highest in the world, and literacy among the lowest. In the case of women, statistics find that only 12.6% are literate, most of them residing in Kabul and Herat. Several surveys do demonstrate an increase in enrollment of girls in secondary schools in Kabul in comparison to ten years ago. They also find that provinces not involved in the heaviest fighting report improvements for women when it comes to freedom of movement outside the home. Still, many claim that these changes are only cosmetic, and that conditions for women have either stayed the same as they were under the Taliban, or have worsened as a direct result of insecurities caused by war. This past November, twenty-nine non-government organizations in Afghanistan submitted a briefing to the NATO Heads of Government Summit at Lisbon. The briefing entitled Nowhere to Turn described the conditions under which most Afghanis were living and described the security situation within the country as “rapidly deteriorating.” The report also chronicles three major concerns the NGOs deem major factors causing insecurity: a marked increase in night-raids conducted by US Special Operations Forces, a failed counterinsurgency campaign that looks increasingly unable to prevent a civil war, and widely circulated accounts of the US going around the Karzai government and financing and arming any opposition group claiming to be fighting the Taliban. In a situation where living is far from assured, liberation is unthinkable. Laura Bush’s contention that Afghan women have benefited from the ‘liberation’ brought to them by the US military is problematic because it isn’t backed up by conditions “on the ground” in Afghanistan. But there are several other more insidious issues raised by the U.S. governmental and mainstream media propagation of this notion. The narrative about ‘freeing’ Afghan women only became politically expedient when the aim of capturing Osama bin Laden and al-Qaeda proved harder to do than anticipated. So the Bush Administration asked Laura to polish off that erstwhile story of the savage East in need of an altruistic West, and they cleverly reinvented orientalism in the guise of “the woman question.” Though emotionally manipulative and strongly lacking in historical credibility (the US financed militia groups throughout the 1970’s and 80’s when it was more advantageous to beat the Soviets than to rally for women) the narrative has become one of the most widely used justifications for continued occupation. Whilst there is no novelty in inculcating historical amnesia at politically opportune occasions, neither are these narratives about ‘East’ and ‘West’ impervious. As we approach a decade of war in Afghanistan we must confront not only the material conditions that make structural improvements in Afghanistan unlikely, but also those narratives that allow continued support for the status quo. For me this confrontation is best expressed in the crucial debates about strategies for resistance. Many post-colonial theorists contend that discursive change must be a precondition for structural transformation. In other words a process of decolonization necessitates not only the transformation of the political and economic apparatus of colonialism, but also its legitimizing narratives. I see this issue of freeing the women in Afghanistan through war as nothing more than a narrative used to legitimize the apparatus of imperialism, and unfortunately it is not only the political elites who are recycling this story. There was a great and sobering opportunity, following the September 11th attacks, for all those “meaning makers” (journalists, academics, artists, etc.) to seriously contend with the ideology of American exceptionalism that has kept much of the US public naïve about the injurious role US foreign policy has played in the world. Instead public discourse was concentrated on futile questions like, “why do they hate us?” and determined that the principle issue between ‘the West’ and ‘the Rest’ were civilizational in nature – i.e. Samuel Huntingdon’s foolish “clash of civilizations” theory. Thus, it is no surprise that many people were persuaded that the U.S. must help the abject Muslim women in need of liberation. Notice the refusal by many leftists to critically reflect on the perils of bestowing cultural icons (e.g., the veiled Muslim woman) on serpentine historical and political realities. For me the issue of what constitutes ‘freedom’ or ‘liberation’ is something subject to historical context, and must be understood in the light of capacities and desires specific to the community in which one lives. If we wish to ‘liberate’ Afghan women from disembodiment and violence, what vision of life after liberation are we asking them to be liberated to? Nowhere on the planet have we yet been able to significantly challenge the male-centric social system of patriarchy that is at the heart of disparate power relations between the genders. Not in Afghanistan, and not here at home. Similarly war and occupation have been the defining features between our society and Afghanistan. This unfortunate reality can also be the impetus for a commonality of purpose between our societies – either we all work to end the war or none of us will survive to benefit from liberation.